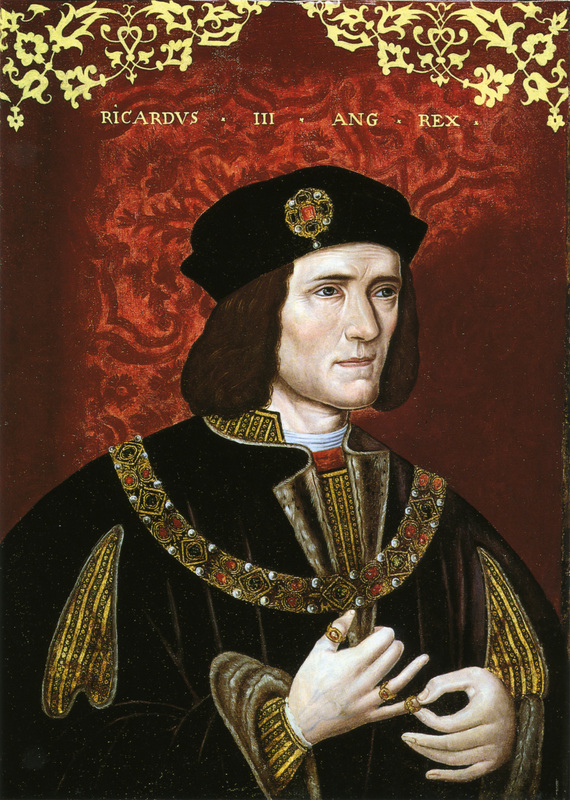 Richard III, who usurped the throne. died for his religious [Roman Catholic] convictions. People of high position, who had some interest by their deaths. , having as motive as opportunity to have them killed. Henry Stafford. 2nd Duke of Buckingham. him and was executed in november 1483. 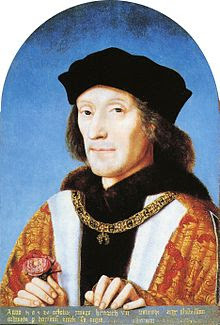 Henry Tudor, later King Henry VII. Battle of Bosworth, Henry Tudor of course had a motive. at Bosworth, their claim would have been far stronger. Mark Goacher defends this theory rather convincincly. there is simple no proof when and by who they were killed. 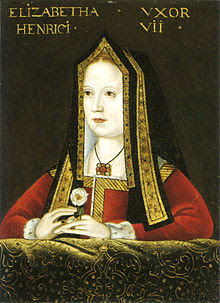 have killed her own grandsons, the sons of her dead son Edward IV. good historical research and logical assumptions. So I read your Blog ”If Margaret, why not Cecily”, with much interest. of ”the princes of the Tower] could have been behind their murders. as you mention in your Blog. that the princes were killed and by who. But if so, by who? imprisoned the boys in the Tower and later gave orders to kill them. This to make his own way to the throne. Let me say one thing clearly. that she was involved at all. want her own grandsons to be killed. 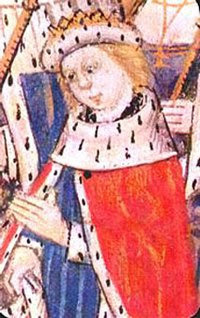 children of her own son, Edward IV. emotional barriers with killing them, although perhaps moral. TO GET ACCESS THE TOWER? there would be a great emotional barrier to act like that. of Cecily to kill them. have done it easier by her easy access. them, but to hire killers and do the dirty work. Well, very simple, through her fourth husband. I did not say she actually did, I only show the possibility. WERE THE RISKS INVOLVED FOR MARGARET REALLY THAT GREAT? had she arranged the murder of her grandsons. First she would have done it for him. Secondly, after all Cecily was his own mother. So it’s the question, whether Margaret ran such a great risk. WERE THEY REALLY SO VAGUE AND WEAK? have convinced them, of course. interests regarding the possibilities to ascend the throne. 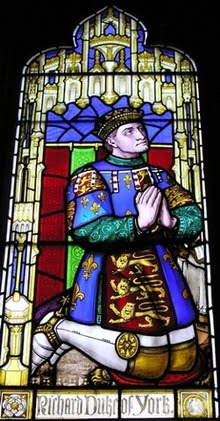 [Margaret’s son the later Henry VII] victorious. it as a bloody, but necessary step for her son to reach the throne. son Richard III, but that’s not the same. Cecily however was not in that position. 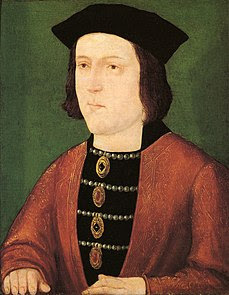 Edward IV, whom she will have loverd as Richard III. Therefore I find your argument about the possible motive of Cecily very weak. Yet it is, to put it mildly, not the same. and loss of family, always is disaster. Yet it were not as closest relatives as Cecily’s. You can imagine the agony she has been through. out of fear for their lives. unbearable in comparison to Margaret’s. ”Cecily and Margaret had each known more than her share of trouble. The daughter of a possible suicide, Margaret was a widow and a mother by age fourteen. From 1455 to 1471, her male Beaufort relatives were killed one by one by the Yorkists, and her only son grew up in exile abroad. Cecily herself suffered the deaths in battle of her husband and her son Edmund, the execution of her son George, and the demise of a number of her children by natural causes. If life had hardened Margaret, there is every reason to believe that it hardened Cecily as well. compared, however serious the loss of any human life is. two days and didn’t suffer the execution of one son through another. We mention here a woman, who has suffered already so much. son executed by the other. And she would have added her grief by killing her own grandsons? at Wakefield and displaying his head at Micklegate. else than the usual [but tragic] death in the Battle. him at the spot, pretending, that he was hit? The King was wounded already. Cruelties happened as by Lancasters and York. Christmas truce, which preceded the Battle of Wakefield. But besides that, were only Yorkist leaders ”ruthless”? No point for just showing one side’s cruelty. in the death of the princes in the Tower. one executed by her other son, one son dead]. were her dead son’s children. have done the killing easier. killers to do the dirty work. that Cecily should have killed her own grandsons. ask from you for Cecily. It’s time you do the same for Cecily. I belong to several Wars-of-the-Roses-related groups on Facebook, and every week or so, the inevitable question arises: Did Richard III murder his nephews? Each time, at least one person comments that Richard did not; rather, the murderer was Margaret Beaufort, Countess of Richmond. After all, we’re told, she was a ruthlessly ambitious woman who would do anything to put her son, Henry Tudor, on the throne. But there was another formidable matriarch in England in 1483, one who almost never gets named as a suspect, but who arguably had as good a motive , means, and opportunity as Margaret. Her name? 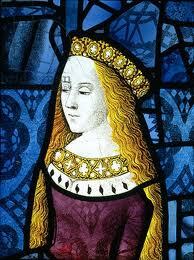 Cecily, Duchess of York, mother to Edward IV and Richard III. Before I go further (and before some of you start writing indignant comments), let me make myself clear: I do not believe that the Duchess of York was responsible for the deaths of her grandsons. I do not believe that Margaret Beaufort was responsible for their deaths either. Rather, I am writing simply to point out that if one can entertain the idea that Margaret was a murderer, logic dictates that one should also entertain the idea that Cecily was one. Why? Cecily’s objection to her son Edward IV’s marriage to Elizabeth Woodville is well known, and there’s little indication that she ever warmed to her daughter-in-law. On these lines, it has been suggested that she supported her son Richard III’s bid for the throne, preferring to see him as king instead of her half-Woodville grandson Edward V. Assuming for the sake of argument that Cecily did indeed approve of Richard III’s actions, it stands to reason that she would want to see him remain on the throne once he got there. The plot to free Edward V and his brother from the Tower that emerged soon after Richard’s coronation could well have made Cecily to decide to help Richard’s cause by eliminating her grandsons. Cecily had at least as good means and opportunity to kill Edward IV’s sons as did Margaret Beaufort, and quite probably better ones. As the mother of two kings, Cecily would have had the best of connections at court, and her house in London would have given her contacts in the city as well. Even if she couldn’t get into the Tower herself, she certainly had as much ability as did Margaret Beaufort to gain access to those who could. Indeed, as the boys’ grandmother, she had a perfectly plausible excuse to visit them in the Tower (perhaps taking them some poison-laced treats), unlike their more distant relation Margaret. 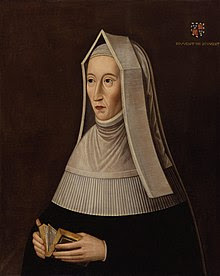 Furthermore, if Margaret Beaufort arranged for the deaths of Edward IV’s sons during Richard III’s reign in order to advance the cause of her son Henry Tudor, she was taking an enormous risk: if caught, she faced imprisonment at best, execution at worst, and her actions could have been used to discredit her son, putting paid to his chances of gaining support for his invasion. If Cecily, on the other hand, arranged for the boys’ deaths, she ran comparatively little risk, for even if Richard did not welcome such meddling, it would have hardly benefited him to publicize the fact that his own mother killed her grandsons. One could argue that Cecily was too pious to arrange for the deaths of two innocent boys. But Margaret was equally pious, and those who argue for her guilt have never allowed this to stand in their way. Cecily and Margaret had each known more than her share of trouble. The daughter of a possible suicide, Margaret was a widow and a mother by age fourteen. From 1455 to 1471, her male Beaufort relatives were killed one by one by the Yorkists, and her only son grew up in exile abroad. Cecily herself suffered the deaths in battle of her husband and her son Edmund, the execution of her son George, and the demise of a number of her children by natural causes. If life had hardened Margaret, there is every reason to believe that it hardened Cecily as well. Moreover, the men in Cecily’s life had shown themselves to be ruthless when the occasion demanded it: her husband, Richard, Duke of York, had taken the opportunity to rid himself of Edmund Beaufort, Duke of Somerset, on the streets of St. Albans; her son Edward had ordered the execution of his own brother George; and her son Richard had executed William, Lord Hastings, without a trial. Perhaps Cecily, convinced that she was acting for the good of the realm, followed their example. Perhaps she even decided to take the sin of murder upon herself to spare Richard the responsibility. Of course, there is a glaring difficulty in assigning guilt to Cecily: lack of evidence. 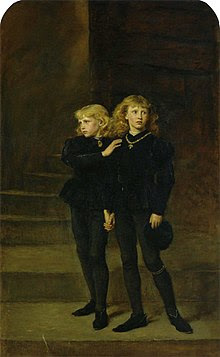 No contemporary source suggests that Cecily had a hand in the deaths of Edward V and his younger brother. But no contemporary source suggests that Margaret did either. As the evidence stands today, neither the duchess nor the countess could be convicted in a court of law of murder. Yet whereas as far as I know only one or two rather obscure novels have cast Cecily in the role of murderess, Margaret (thanks largely in part to the television series “The White Queen”) has become a leading suspect, often crowding out Richard III and the perennial favorite, Buckingham. Asked for evidence of her guilt, those implicating Margaret point rather vaguely to her ambition and her devotion to her son and, more specifically, to her role in the rebellion of October 1483. But while one could try to build a case for Margaret’s guilt upon this shaky foundation, it certainly doesn’t rule out Cecily as an alternative suspect. As I said earlier, I do not believe that either Margaret or Cecily was responsible for the deaths of the Princes in the Tower. But for those who are convinced that Margaret was responsible, I leave with a parting thought. Motherly love is among the strongest of motivators. If maternal feeling could have driven Margaret to commit infanticide in order to bring her only son to the throne, why couldn’t it have driven Cecily to commit infanticide to keep her last surviving son there?